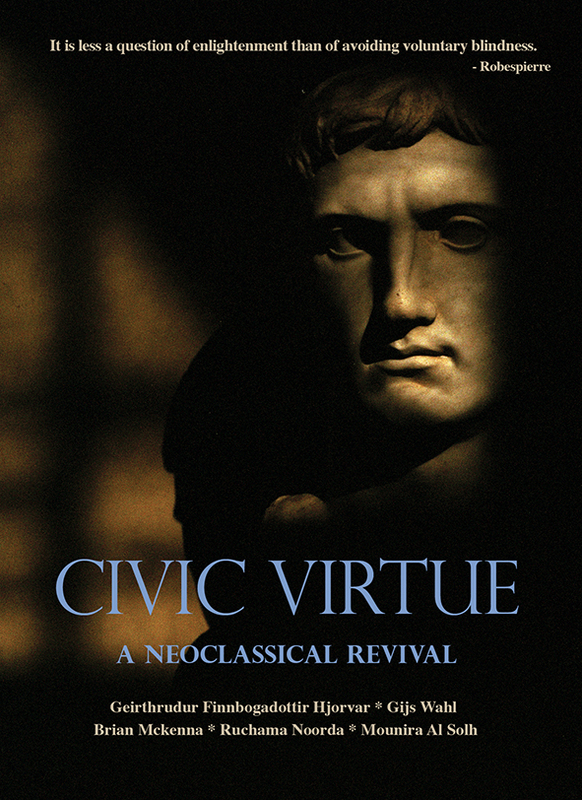 "Civic Virtue" is both the name of an installation and a curated exhibition with the same name. Both were based on the idea of neoclassicism as a route to reflect on Enlightenment politics, the aesthetics of revival, and the relationship between objects and ideology. 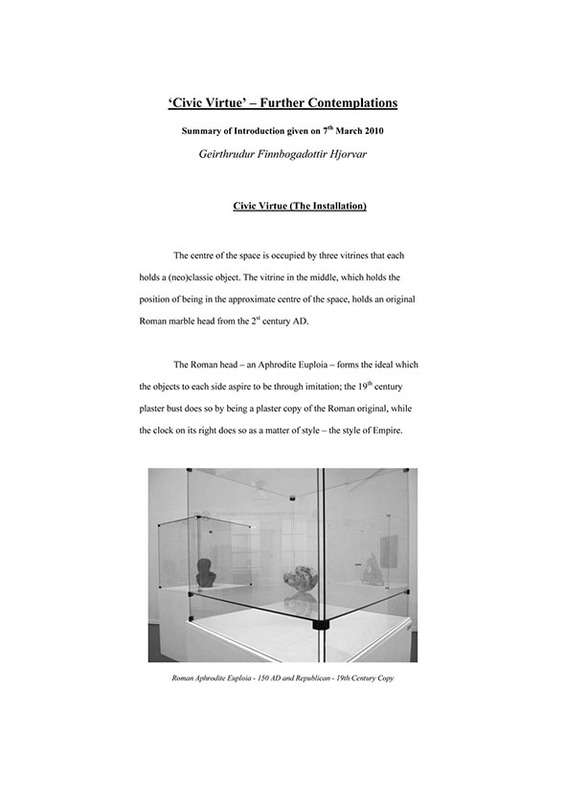 The exhibition would become the basis for the CIVIC VIRTUE collective.